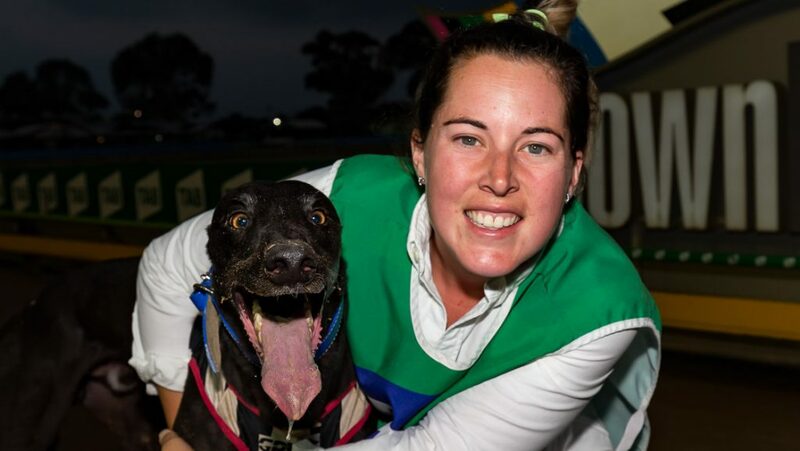 Brooke Ennis trained an equal-career best four winners at Sandown Park last night. The 31 year old from Lara trains a team of 16 chasers in partnership with her husband Jamie and the couple arrived at the track confident their runners would perform well. They were delighted to see the team exceed expectations. “Yeah we’re really happy,” said Brooke after Charging Yaala completed the quartet of winners. Particularly pleasing was the win of kennel favourite Tritt Tritt (pictured). The son of Ennis’s former star My Bro Fabio blew the start and was shuffled back to a clear last past the post the first time before railing strongly to improve to fourth place through the first turn. He switched to the outside down the back straight to sweep around the leaders and power to the line to win by a length and a half in 29.48. It was Tritt Tritt’s third run after a three month layoff and first city win in almost six months. “He is my favourite,” Brooke continued. “He had a few niggling injuries that we couldn’t really get on top of so we just decided to give him the time and fully recover. He probably had longer than he really needed but that was our decision to give him that extra time. To get him back to the track is great and see him racing like that is even better. Ennis’ first winner came in race four with So It Goes recording an impressive win in 41.88 over the 715m and was followed a race later by Tritt Tritt. Belt Up Bubbs broke a run of six outs by taking out the Free For All in fastest time of the night (29.33) before Charging Yaala rounded out the evening with a 29.38 victory in race 10. 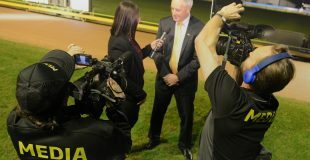 It was the second time Ennis has trained a quartet of winners on a Thursday night at Sandown Park. In January 2015, Ennis lead home Lady Toy and My Bro Fabio to victory in the listed Maidment Memorial and Australian Sprint respectively, as well as Cash Rules and Margins in a marquee night for the kennel. Paw note: Ennis’ quartet gives her 7 winners from just 16 starters at Sandown in 2019, a winning strike rate of over 43%. She had 36 winners from 116 starters (27% strike rate) at Sandown Park in 2018.